Have you considered launching a podcast for your business but thought it would take too much time? Do you hate the sound of your own voice? Does the idea of learning “new technology” make you break out in hives? If you answered “yes” to any of these questions, then this presentation is for you! With over a decade of podcasting experience, Michelle Y. Talbert, host of Her Power Moves podcast or whatever is her title) will walk you through the benefits of leveraging podcasts to achieve your marketing and business goals. Attendees will receive actionable steps for creating a podcast in less time than imaginable. 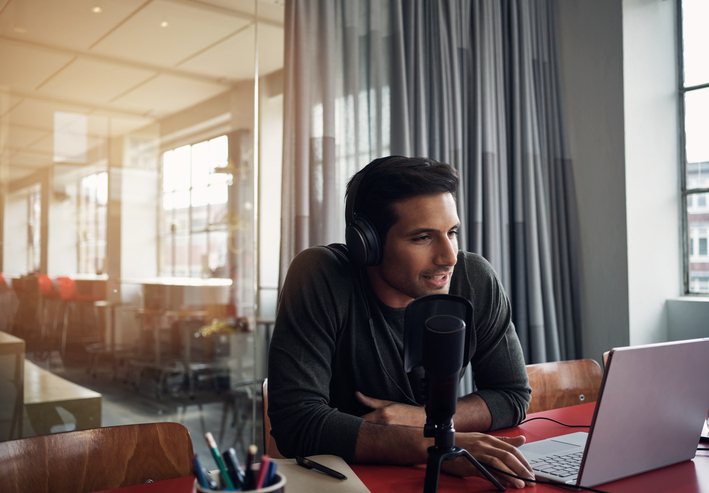 The presentation will use real-world examples, along with proven techniques for repurposing content, to show the relative ease of incorporating podcasting into existing marketing and outreach activities. This will NOT be a tech-heavy conversation, rather it will be chock-full of innovative techniques for launching and managing a podcast—and loving your own voice! Over the past six years Michelle Y. Talbert has helped hundreds of women improve their lives and businesses through her podcasts and workshops. Michelle launched her first podcast, Dust Off Your Dreams, in 2008 and since then has spoken at numerous podcasting and social media conferences on the benefits of podcasting.